Hong Kong is the Special Administrative Region of the People's Republic of China. Hong Kong is one of the Largest Business and Financial hub in Asia, and tourism plays the great role in its economy. It receives the big number of travelers from mainland China and many other countries including India. 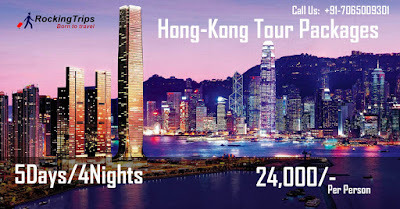 Where Indians love to enjoy Hong Kong Holiday Packages with their kids as it is the destination where kids can have great enjoyment in Disneyland Hong Kong as well as in Hong Kong Ocean Park. It has lots of things for tourist of all age groups. Most of the time people planning for Hong Kong Packages also plans to visit Macao. Where again it is Special Administrative Region of the People's Republic of China, Venetian resort Macao is one of the main choices for travelers to stay in Macao. some main attractions to see in Hong Kong are Victoria Peak, Victoria Harbour, Star Ferry Pier, Central, Stanley, Repulse Bay, Ocean Park Hong Kong, Disneyland Hong Kong, and some of the places to visit in Macao are Ruins of St. Paul's, A-Ma Temple, Macao Tower, House of Dancing Water show and we can’t ignore the casinos for which people visit from all over the world. 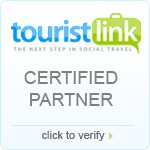 Couples also love to add cruise for 2 nights or 3 nights in there Hong Kong Honeymoon Packages. Below are some Sample Hong Kong and Macao tour Packages.